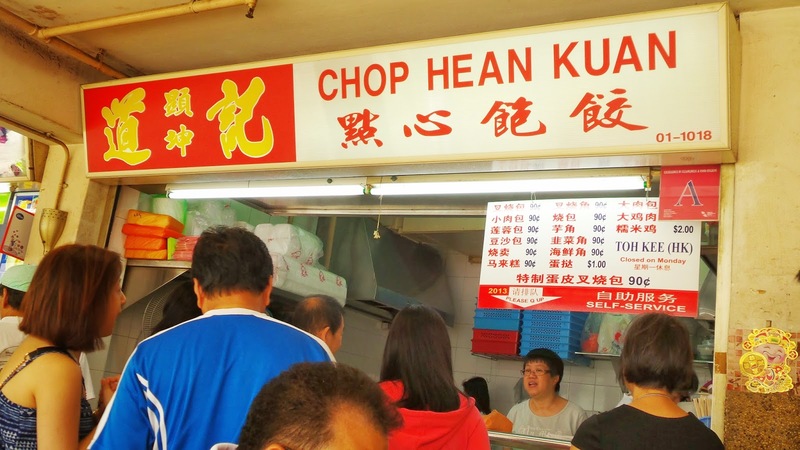 If you happen to work near me and would love some piping hot pork-based noodle soup with some char siew, let me introduce two of my favourite haunts which might also be yours soon! Located at a corner on the 4th floor of the relatively new One Raffles Place is not at all attention-seeking. However, crowd is still drawn to its affordable priced lunch set deals. Kuro - black, aka- red, shiro- white tonkotsu (pork bone broth) ramen. Their value lunch sets at $13 comes with a ramen and the salad bar. I thought the salads were quite fresh and they had 3 different types of dressings to choose from (spicy tomato is one of them). 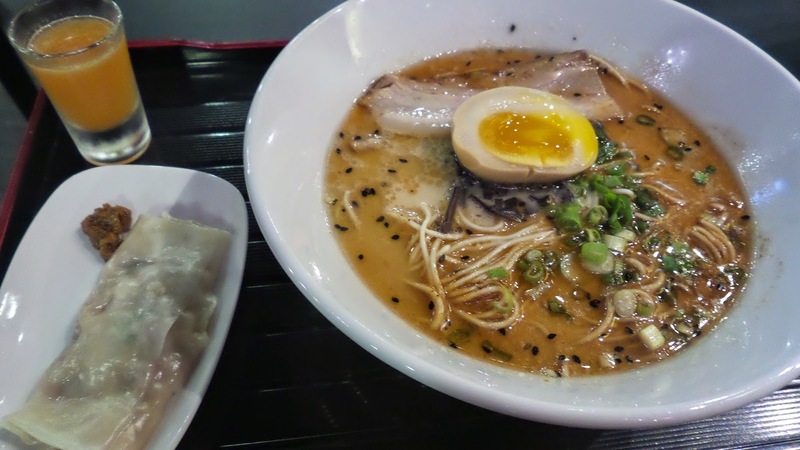 The ramen was not rather average as the noodles was slightly too soft and thin which made me feel like eating wanton noodles in japanese style. I would not complain much about the soup as there is garlic and sesame on the side to add on top of the plentiful of shallots floating on the broth. The half boiled egg was not runny enough and the sliced pork belly can only get smaller. Fruit juices look like a winning item here but we did not order, maybe next time. Good choice for the working crowd near ORP on a rainy day. 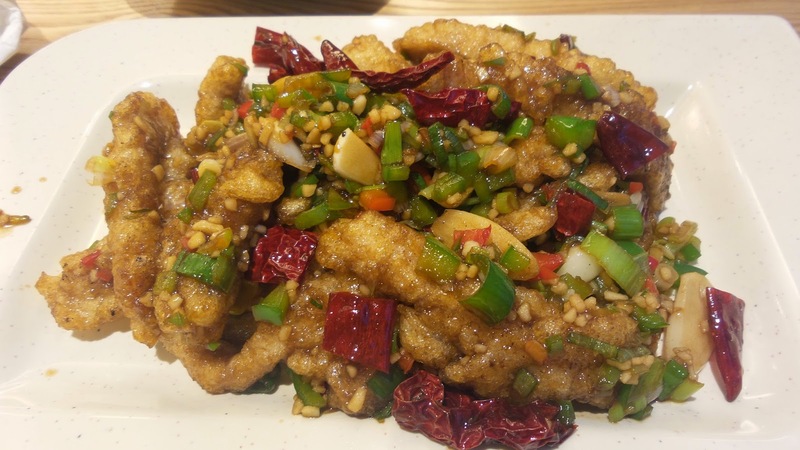 The chicken was crispy on the outside and well marinated such that it is tender on the inside. I love the almond slices coated on the chicken as it gave the dish some bonus points. Wishing there could be more almond even though it might potentially give me bad breath. Jajangmyun was quite a disappointment as the noodles were not warm enough such that they stuck together and the sauce was a tad too thick and gooey with insufficient vegetables. Not sure if this is how it should be but i would think more onions, carrots and some pickles would have made the dish more impressive. My kimchi fried rice however tasted average although there can be more spices and kimchi. It was something like tomato fried rice with cabbage and some meat. My colleagues told me about how hot (literally) this hotpot restaurant is and so i decided to give it a try one rainy day. It was a perfect occasion for it especially when we were seated by the window. We were given a menu with 5 types of soup stock and several variety of ingredients to choose from, ranging from pork belly to fish to beef. You will need to mix your own dipping sauce from a sauces corner, depending on what is your preferred taste. Mine had lots of vinegar and sesame sauce, as usual. 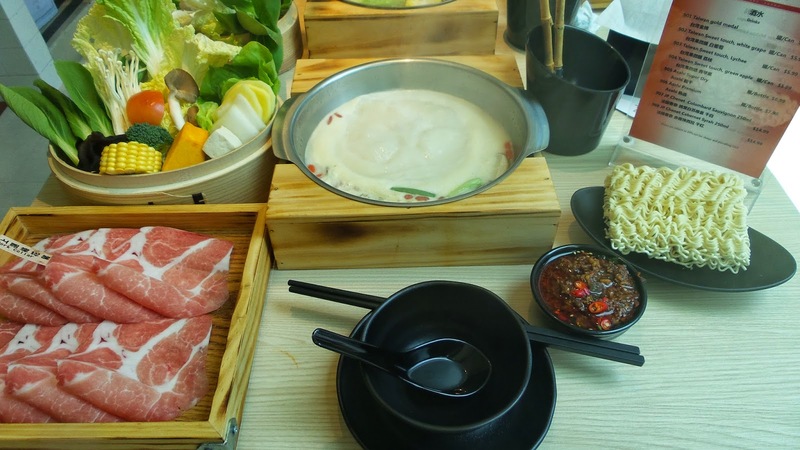 I never had a good gut feel about individual hotpot as it is always rather plain or full of msg. However, the soup here really threw me off my seat. I had several refills of the soup while trying to ration the vegetables and meat. The taiwanese style braised pork rice seemed to be a specialty but i have yet to try. 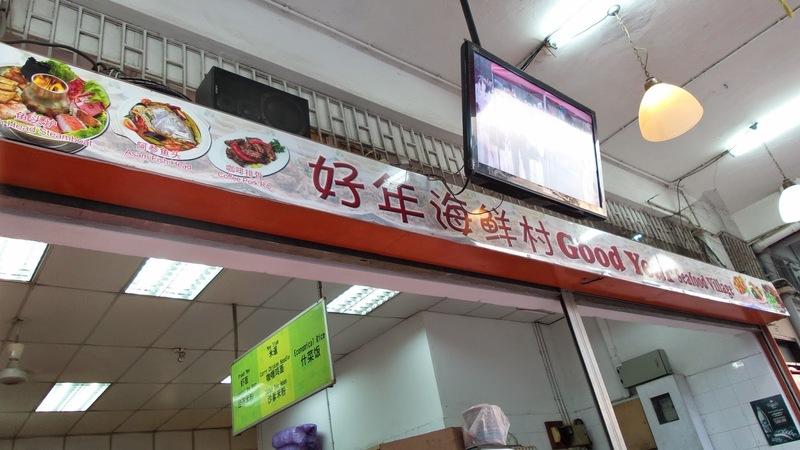 Looks like this place arrived the concept of the soup base from Taiwan as they have milky based fish soup and mala soup for the spice lovers. Come early as you do not want to end up queuing for too long. Rushing back for a meeting or lunching alone? Wheat serves uniquely named healthy dishes of soba, brown rice and many more. Take a look at the menu(below) and i am pretty sure you would want to go for some Penguin or Ice Cube on a sunny day. Let me show you just what exactly these are. 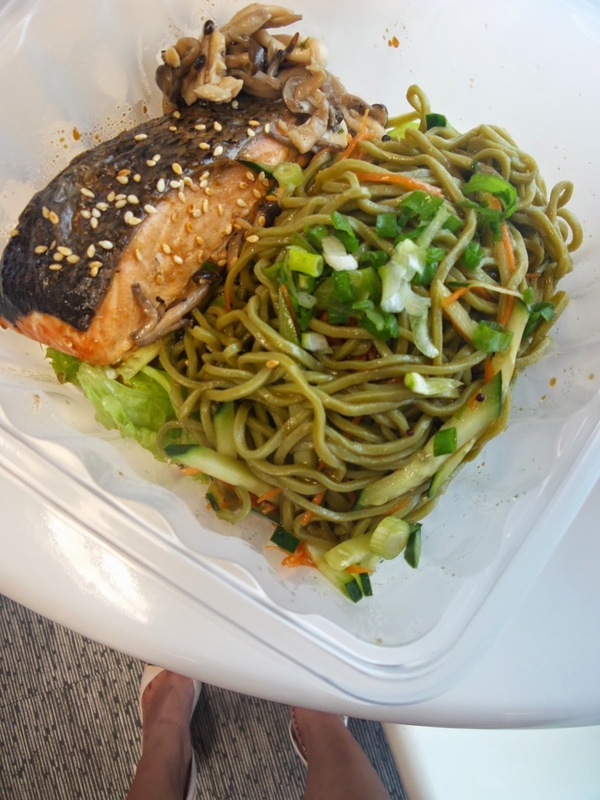 Their popular Penguin set consists of grilled salmon with cold soba noodles and salad. 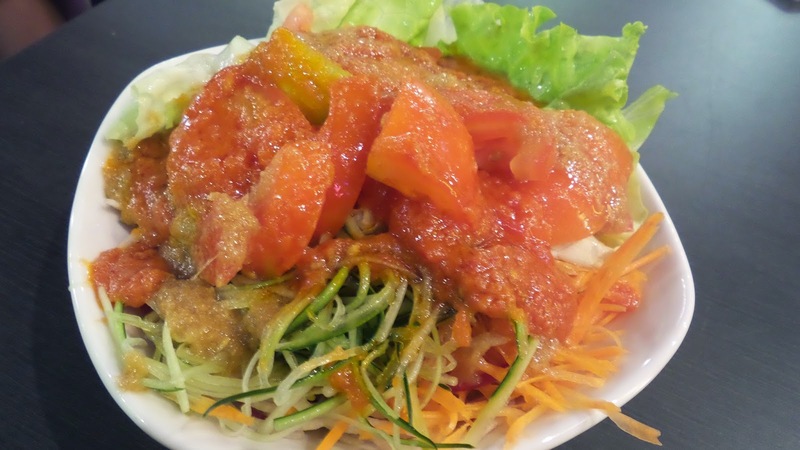 It is refreshing as the sesame dressing gives a light yet tasty touch. Besides the fact that the salmon is cold, this japanese western lunch can satisfy one without resulting in food coma. Ice Cube, anyone? A tofu salad that is infused with thai sweet dressing with crabmeat, cucumber and finally topped with roasted sesame seeds. 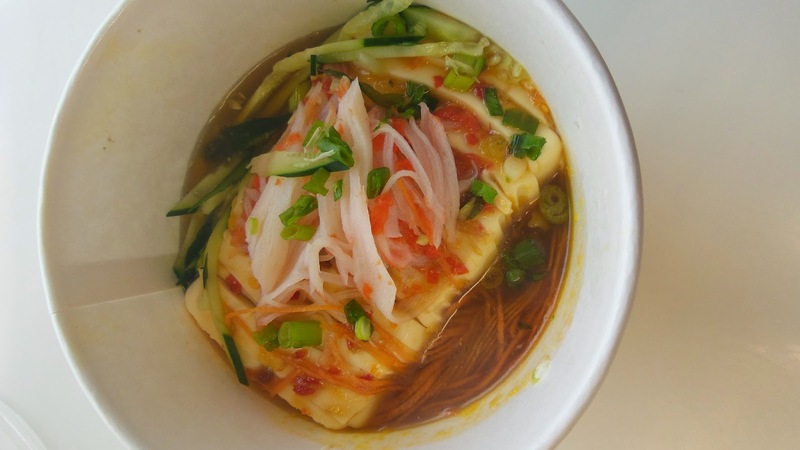 For 3 bucks, it will be a great side dish for those who finds the noodles a little less. Have it chilled and you will not be able to keep your mouth off it.